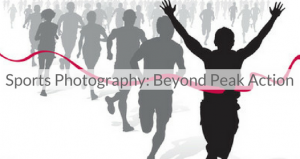 Learn to capture intensity and emotion in sports photography in this training module led by award-winning sports photographer Amber Bracken of the Edmonton Sun. Amber Bracken is an award-winning photographer for the Edmonton Sun and freelance documentary photojournalist. She has covered some of Canada’s biggest breaking news and sporting events, including the deadly Big Valley Jamboree stage collapse in 2009, the Canada Grey Cup in 2010, the Canadian federal election in 2011, and the Slave Lake fire of 2011. In 2013, Amber was awarded the National Newspaper Award for her sports photo in the Edmonton Sun of a bloody boxing match. Her work also appeared in Sports Illustrated’s Pictures of the Year issue in 2013 and has garnered national awards through the News Photographers Association of Canada.